Dollar Sunday | Mann-Simons Site - Feb 17, 2019 - Partners - Columbia Chamber of Commerce ? 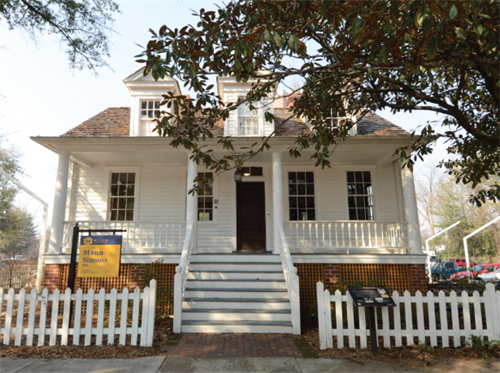 Every third Sunday of the month, residents of Richland and Lexington counties are invited to tour of one of Historic Columbia’s house museums for just $1 on Dollar Sunday! This month, visit the exhibits at the Mann-Simons Site, the home to the same African-American family for nearly 130 years. The house will be open for guests to tour at their own pace, and guides will be available to answer any questions. General admission prices apply for any house tours after the first. Walk-ins welcome! Tickets are $1 for Richland and Lexington County residents with a valid I.D. Purchase tickets at the Mann-Simons Site or the Gift Shop at Robert Mills between 1 and 4 p.m.